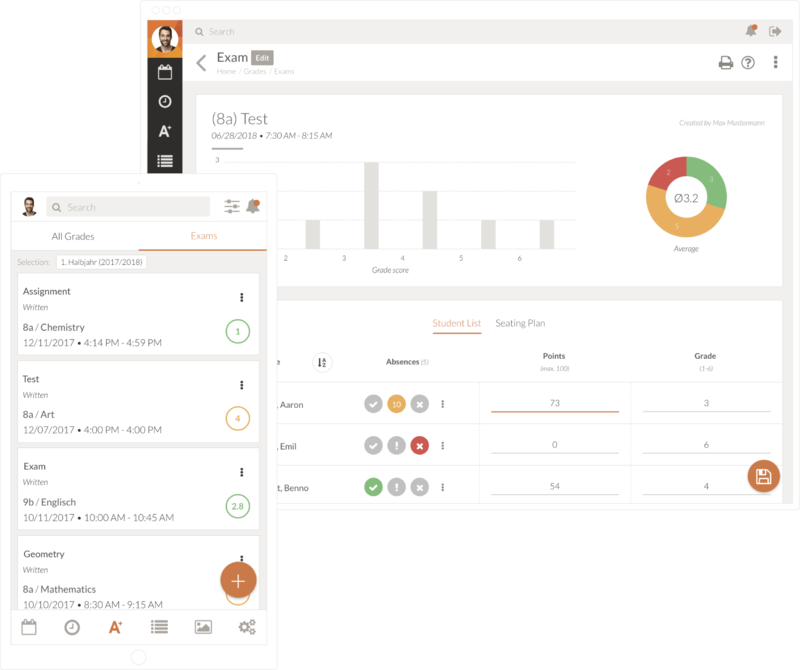 TEGO.CLASS helps you plan and keep track of all oral and written forms of tests and evaluation digitally. and keep track of all student information in once place. 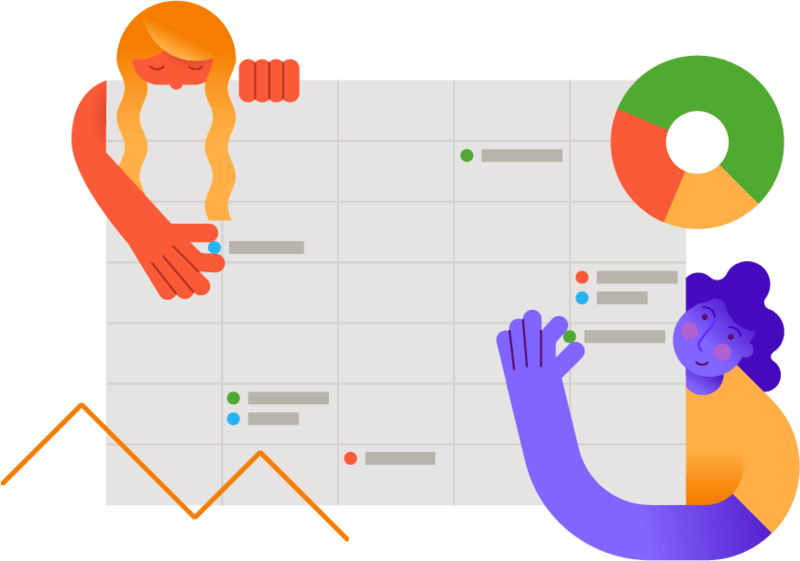 Plan and organise your tests by adding them to your schedule. Simply change a lesson you’ve prepared into a test. 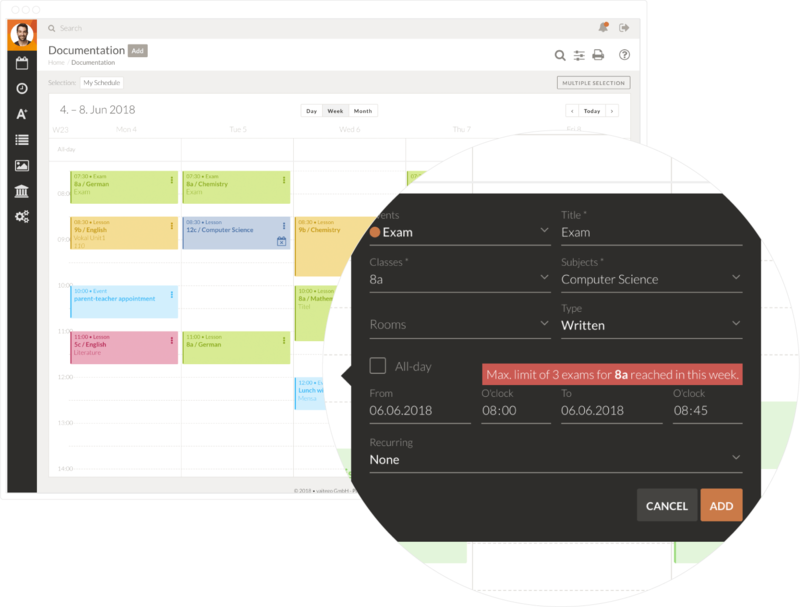 TEGO.CLASS and its shared schedule system put an end to accidentally scheduling tests for the same day your colleagues do. As soon as you add a test to your schedule, your colleagues using TEGO.CLASS will get notified. Use TEGO.CLASS to easily manage all your tests digitally. Decide on the weighting of grades and set the maximum score for each test. Choose whether to assess them as a written or oral grade. You can also split your tests into individual parts and later evaluate your students’ scores on each part specifically. 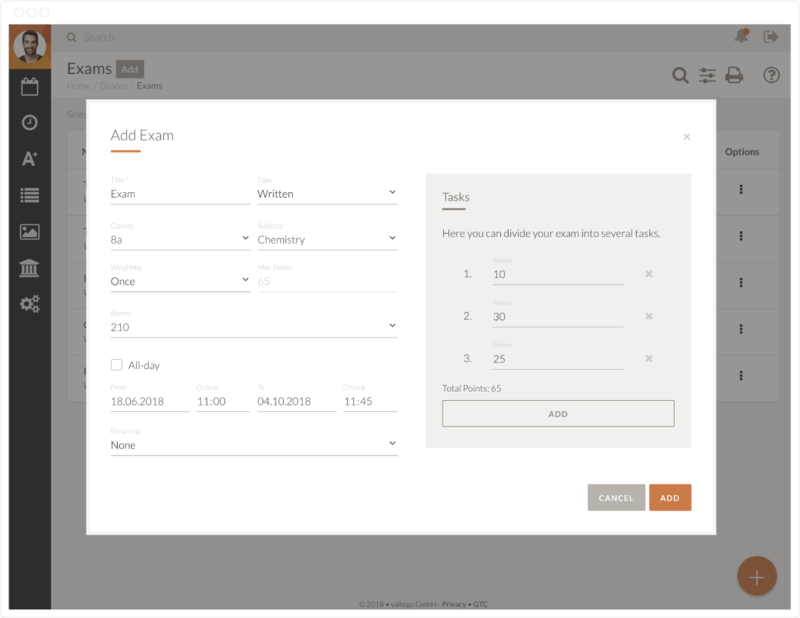 As soon as you’re done grading a test, you can enter the final scores of your students into TEGO.CLASS and the preset grading key will automatically calculate the final grades out of the scores. This automatic grading system with its overview of all grades, averages and grade developments, allows you to easily keep track of every single student’s progress.